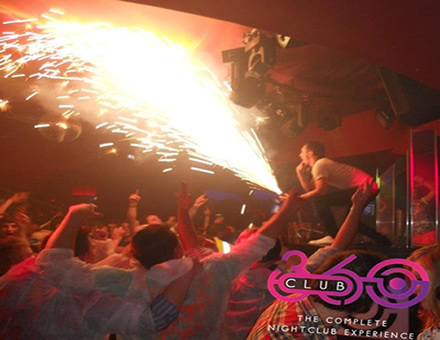 Located in Carrick-on-Shannon – a popular party destination for many due to the great nightlife – Club 360 is the new number one spot for your weekend. The club provides afantastic line-up of DJs bringing you the latest music in dance, techno and top chart hits to keep the club pumping all night long! We offer a unique blend of great music, fantastic atmosphere and friendly service to ensure you have the best night possible every weekend. Our sophisticated interior includes VIP booths, a heated smoking area and a fabulous cocktail bar setting the scene for the number one nightclub in Carrick-on-Shannon with the added bonus of a shuttle bus service to bring you to us. Package deals are available for large groups or special occasions with VIP Treatment to make your night even better. So why not join us this Friday, Saturday or Sunday night to get a taste of the the complete nightclub experience for yourself!